The FACES team is currently in Lambayeque, Peru, working with in-country partners on the development and implementation of several projects that will help the team offer the best, most comprehensive and long-term care to the most needy patients in the entire region. One group who is helping FACES accomplish this goal of extended healthcare coverage for the poor in Peru is the Lambayeque Ciudad Evocadora, also known as the Lambayeque Lions Club. 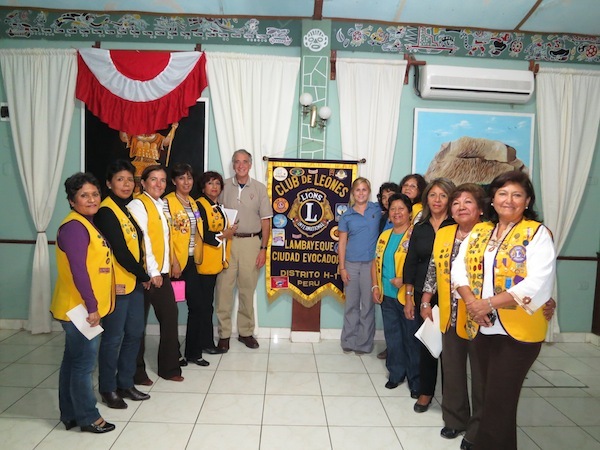 The Lambayeque Lions Club is an all-woman’s club who are deeply involved in humanitarian efforts both in their own community and the entire region. The group has worked with FACES for years to help make the surgical trips a success. They are dedicated and committed to improving healthcare outcomes for families and children and have gone to great lengths to support FACES efforts. The group helps before the surgical campaigns to find cleft lip and palate patients who need surgery, but do not have the means to pay for this service themselves. During the surgical trips, the Lions help feed and house patients who travel for days to receive treatment. FACES is working to build and expand their partnership with the Lambayeque Lions. Current projects include providing hearing and vision screenings for all patients and families who cycle through during the cleft screening clinics. Additionally, the Lambayeque group extended their warmest welcome to the Portland, OR, Lions Clubs, and invited them to visit them in Lambayeque. FACES is looking forward to their continued partnership Lambayeque Liudad Evocadora, as well as partnering with the Portland Lions. 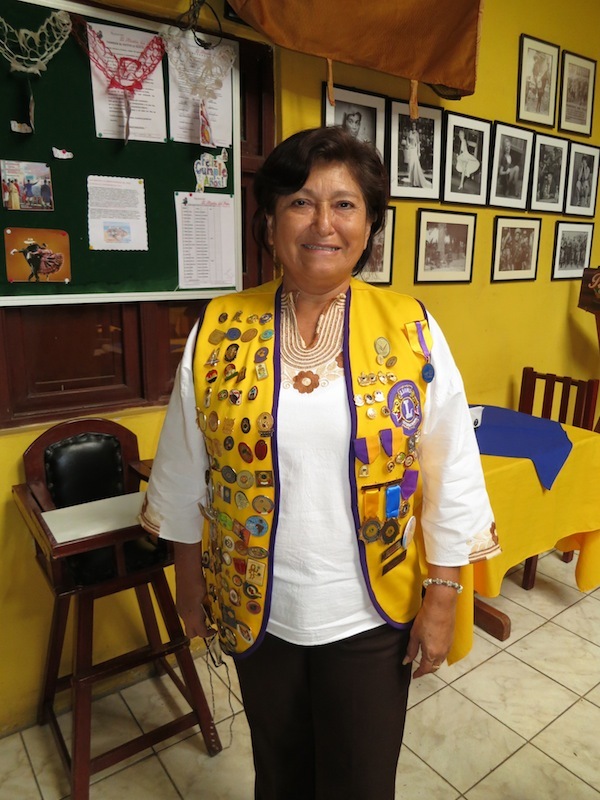 Teresa, past president of the Lambayeque Lions Club, as well as past president of the regionals Lions in northern Peru. She is an inspiration to us all, and continues to show unflinching dedication to the cause of helping the needy. Dr. Albert giving a presentation to the Lions Club, which included a proposal for an upcoming partnership project. 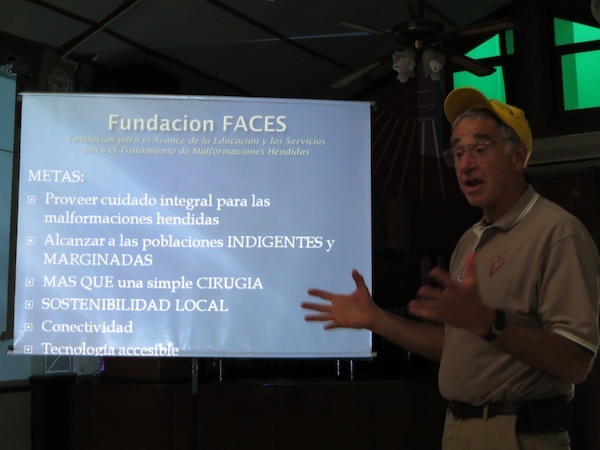 Dr. Tom Albert and Leah Olson of FACES Foundation, with the Lambayeque Lions Club.